A new INBAR Regional Office will strengthen bamboo and rattan development in Central Africa. 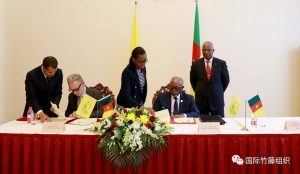 Sunday 2 September, Beijing – On 2 September, INBAR and Cameroon formally agreed to establish a new INBAR Regional Office in Central Africa, in a signing ceremony held at the Embassy of Cameroon in Beijing, China. 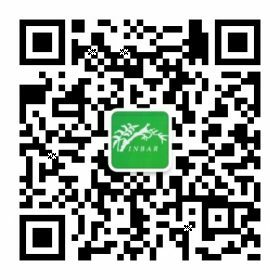 Cameroon has been a member of INBAR since 2002, and remains one of the organisation’s most active African members in bamboo and rattan development. In March 2018, the President of Cameroon, H.E. Paul Biya, visited INBAR Headquarters in Beijing – a sign of the strong support between Cameroon and INBAR. And at the Global Bamboo and Rattan Congress in June 2018, a large delegation from Cameroon shared their experiences about bamboo and rattan’s uses for sustainable development. In 2016, Cameroon even organised a regional conference about bamboo and rattan development, which provided a platform for discussions about these plants’ uses in the context of Central Africa. The Congress resulted in Cameroon’s first national bamboo policy, which was confirmed in early 2017. The new Regional Office will be INBAR’s third in Africa, and fifth overall, joining a global list including Ecuador Ethiopia, Ghana and India. The Centre, which will be based in Cameroon’s capital Yaoundé, will help to provide technical support for local bamboo and rattan projects, including capacity building and training, technology transfer, nursery establishment and appropriate landscape management. 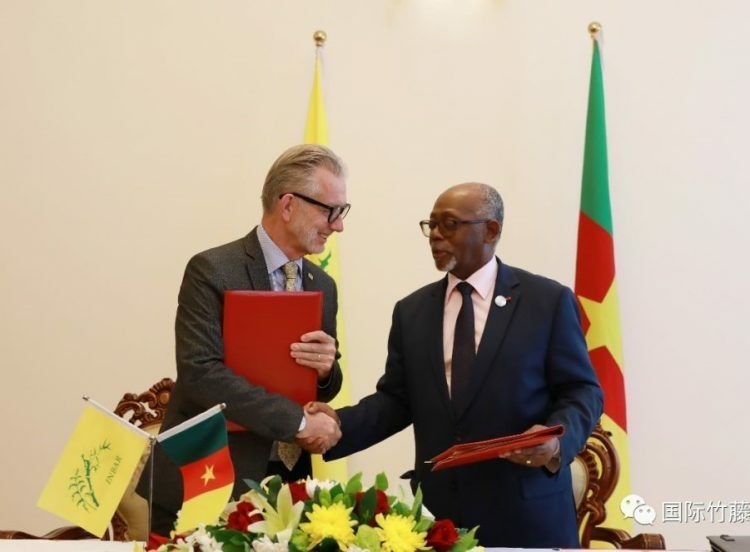 Speaking at the signing ceremony, Dr. Hans Friederich, Director of the International Bamboo and Rattan Organisation, INBAR, said: “Cameroon and INBAR have been active in bamboo and rattan related activities for many years. Our relations with Cameroon are very strong and have real impact, and the establishment of a new Regional Office in Yaoundé will strengthen our partnership even further”. Hans Friederich and Mbella Mbella Lejeune signing the establishment agreement for INBAR’s new Central Africa Regional Office.